A 1 millimetre piece of junk could kill an astronaut. The junk includes old satellites and rocket parts, including astronauts' rubbish like a camera that was dropped on a space walk. The Kessler Syndrome was proposed by NASA's Donald Kessler in 1978. Kessler proposed that collisions compound—each collision generates debris, increasing the likelihood of more. 1979 Skylab, the first American space station, fell to the Earth in thousands of pieces. 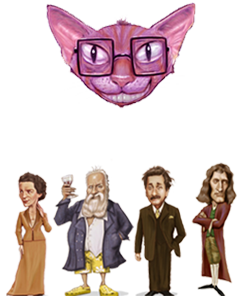 Junk travels at up to 28,000 kilometres per hour, about 20 times faster than a bullet. Of 7,000 satellites, about 1,200 are still working, mainly for science and spying. 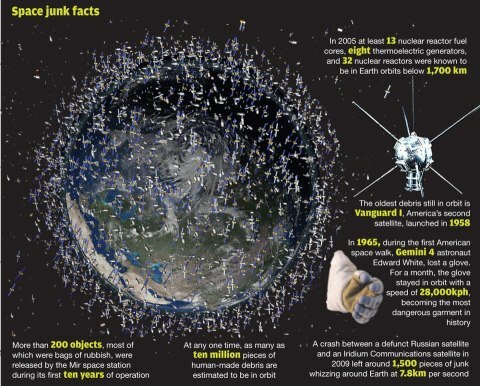 Since 1959 more than 6,000 pieces of 'space junk' have fallen out of orbit. Most of the junk is in low Earth orbit, from 850 kilometres to around 2,000 kilometres. If it is under 600 kilometres it will fall within several years. 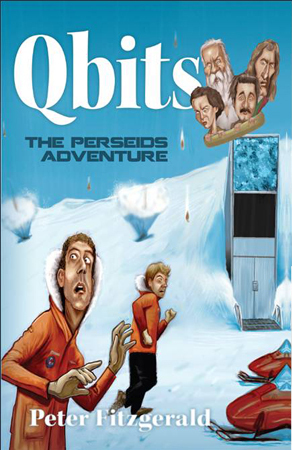 There are estimated to be 500,000 pieces larger than 1 centimetre in low Earth orbit. STRATCOM monitors about 20,000 dangerous objects. 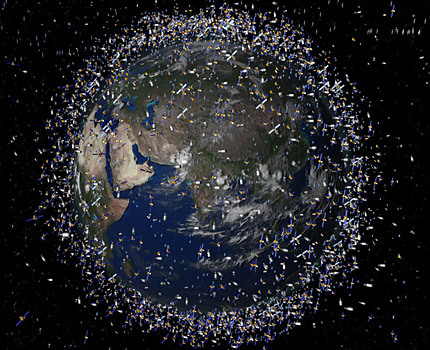 Satellites and debris pass within 10 kilometres of each other 1,000 times a day. Orbital decay is when space junk and friction cause low orbit junk to fall to Earth. Junk orbiting at above 1,000 kilometres circles the Earth for a century or more.